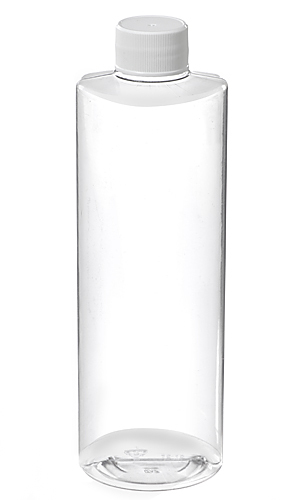 Clear narrow mouth cylinder bottles are ideal for personal care products. These PVC cylinders include a white polypropylene cap. Available in 8 oz. and 16 oz.